For me, standing on the summit of Mt Everest was the result of following a process. The process of mountaineering. I love mountaineering. I am passionate about it. I love the months of planning for an expedition, the months of sweating and training to prepare my body physically. The meticulous preparation of my equipment. Most of all I love the huge mental challenge I have to overcome before each climb to confront my own fear. All these reasons are why I climb, they are why I climbed Mt Everest and that is why I continue to climb. Passion is an enormously powerful force. It gives us the strength to get through hard times and setbacks. It gives us strength to overcome our fears, to ignore what other people think of us, to be disciplined and make sacrifices in pursuit of our dreams. Passionate people do not want to take shortcuts – they consider that ‘learning the process’ is an important part of the journey. In mountaineering it’s easy to spot those who are not passionate about the process. They want to stand on top of the mountain but they are not really interested in the process of climbing the mountain. I feel for these people. Success without hard work is a hollow, empty feeling. They never last long in the sport. Just as in life, successful mountaineers are the ones who are passionate. They are not there just to stand on the summit. Their passion gives them the energy to work the hardest, fight the longest, and in the words of Winston Churchill “never, never. never give-up”. By following my passion it took me to the top of the world. 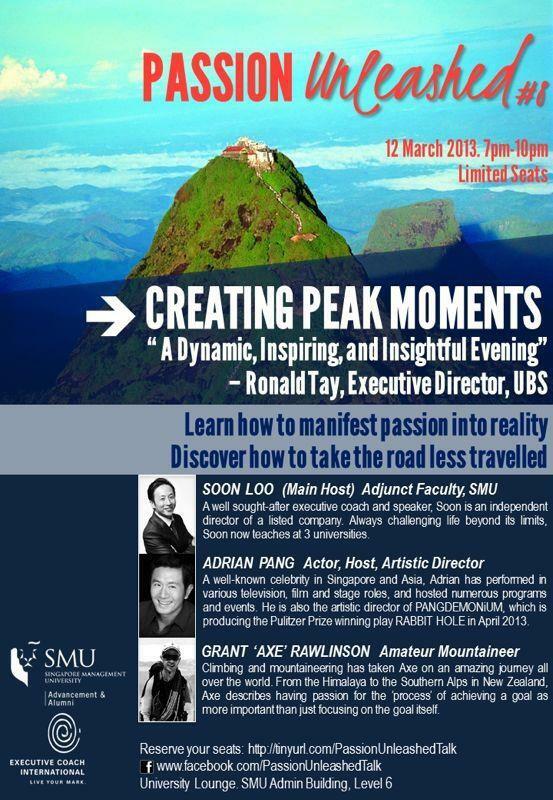 Next week I will be talking on the importance of following your passion at the Singapore Management University. See the flyer below for more information. I hope to see you there! Come to Axe’s next talk on 12 March, 2013 – click the image to enlarge! August has been a busy month for Axe! 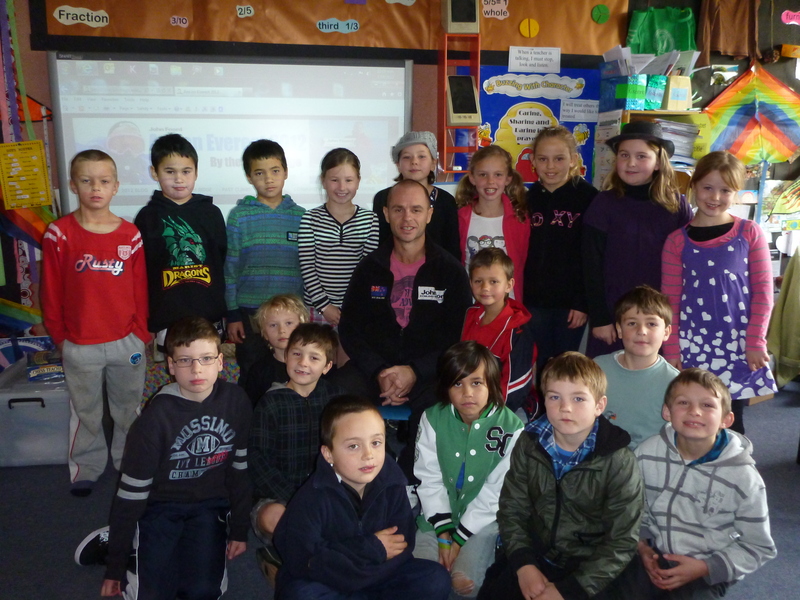 I recently returned from a very successful speaking tour to New Zealand. 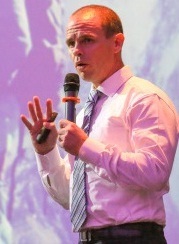 Over 6 days I spoke to 3 schools and conducted 3 public presentation evenings, speaking to over 700 people in total. 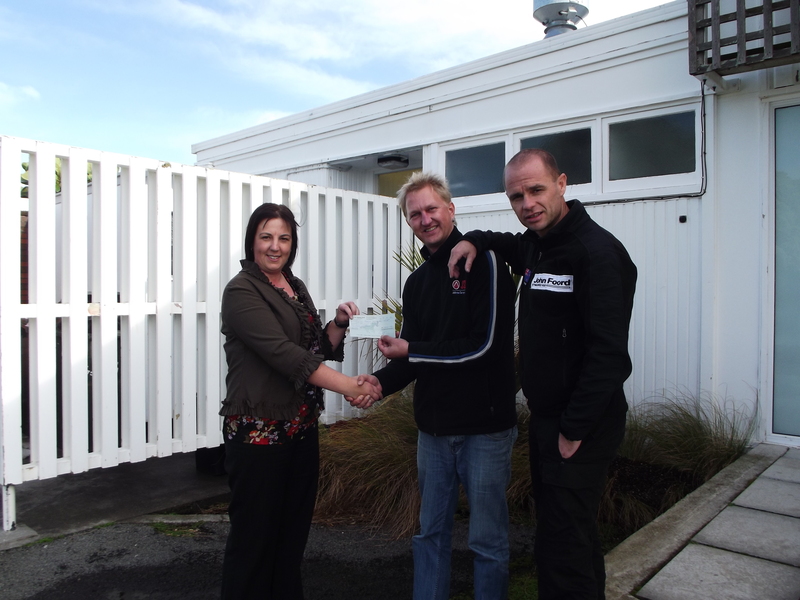 Through the 6 days, over NZ$ 11,000 was raised for the Taranaki Rescue Helicopter Trust(TRHT). 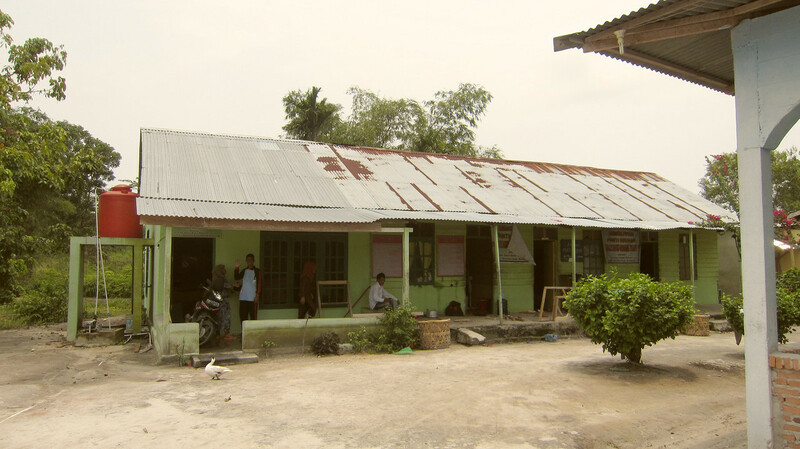 Considerable exposure was also generated for the TRHT through media coverage of my visit – namely radio, newspaper and television. A huge thank you to the presenting sponsor JSL – Jufferman’s Surveyors Limited – for arranging the talks. I was reminded constantly of the warmth and friendliness of Kiwi people during my trip. Sometimes we Kiwi’s take this for granted. I had a good reminder on the evening of my final talk which held in a French Restaurant in Auckland. The manager that night must have had a rough sleep under a bridge the previous night or some bad snails for breakfast, as she was in a foul mood, smelled of garlic, was quite unhelpful and hated jokes about the Rainbow warrior. Never the less – the evening was very successful and a big thank you to Helen and Mark Taucher and James J Bentley for organising the evening. My trip home was also covered by Close Up. Close Up is TVNZ’s nightly current affairs show. Close Up air’s on TV1 at primetime viewing (7:00PM – 7:30PM) throughout the working week. This was filmed over a very enjoyable and action packed two days. One day was spent with the TRHT and my sister Debra. 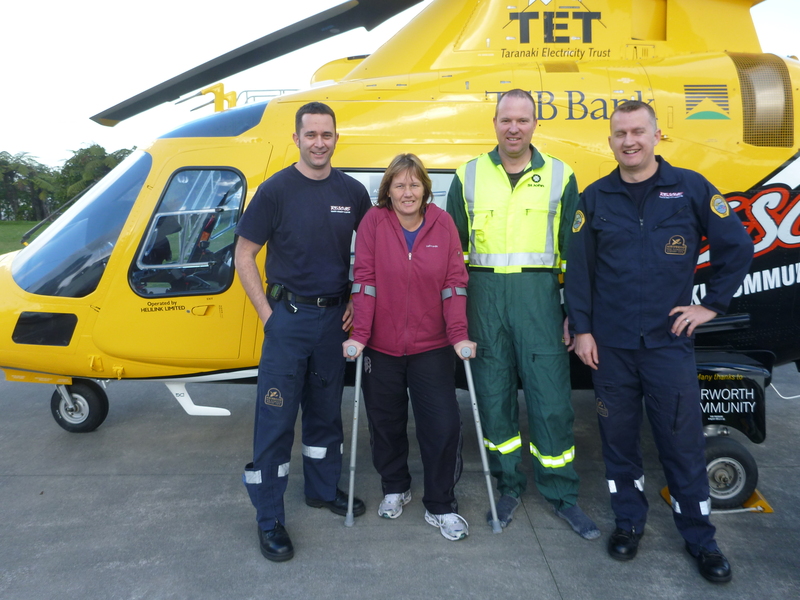 Debra was involved in a horrific car accident on 24 February 2012 and the TRHT helped to save her life by flying her to hospital. The very nice crew from the TRHT flew Debra and I into the St Patrick’s primary school in Inglewood, to meet the students there who had been following my journey for the last few months and have been ardent supporters. 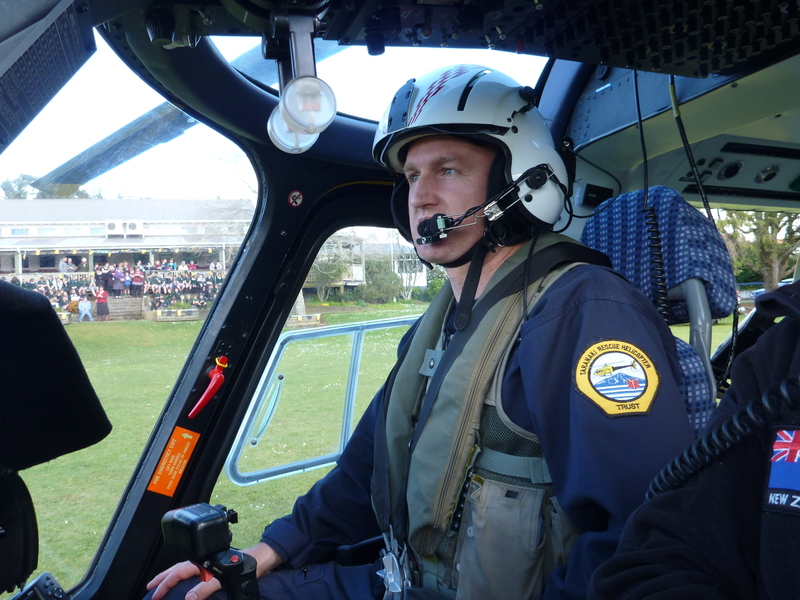 I conducted a talk to the students along with the TRHT crew and we had a small tour around their beautiful school before re-boarding the helicopter and flying back to New Plymouth. It was definitely the most scenic and exciting way I have traveled to a speaking engagement. 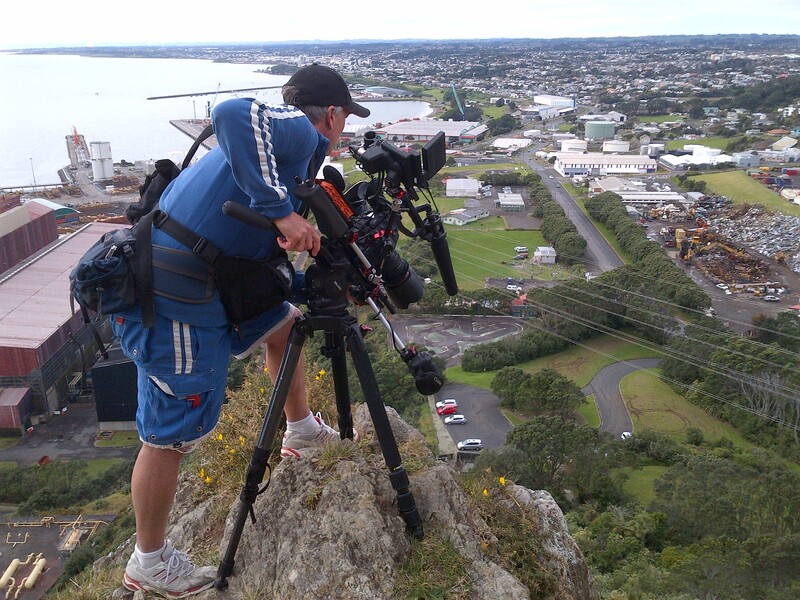 The second day filming was on the beautiful Paritutu Rock in New Plymouth (See photo’s below). 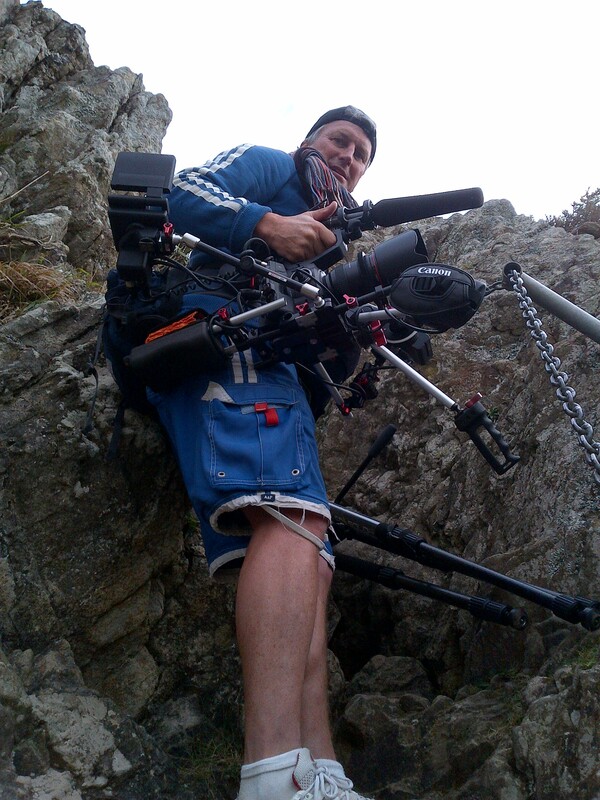 I spent 5 hours scurrying up and down this rock with camera’s on remote-controlled helicopters following me. The climbing footage should air on Close Up shortly and I will send the link at the time. Unfortunately 2 days after the filming on Paritutu, a terrible tragedy unfolded at the same spot as 3 students were swept into rough sea’s whilst rock climbing, only one body has been found so far (click here to learn more). 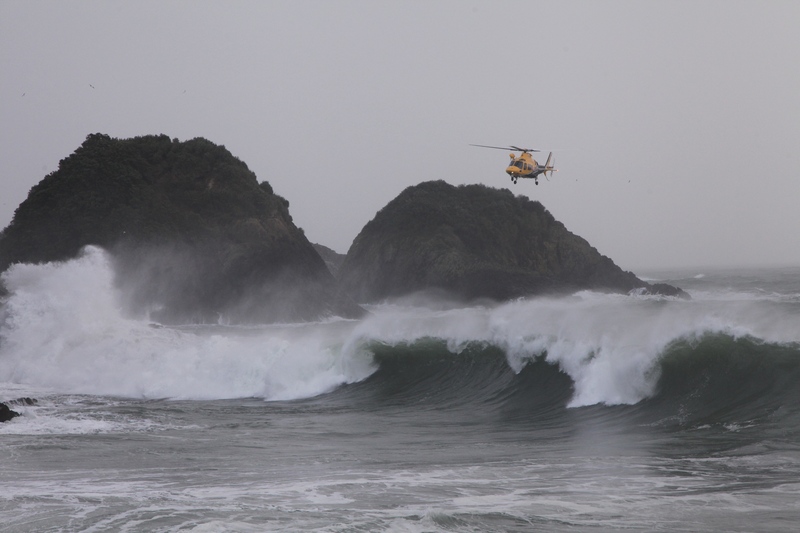 It was sad news to hear as I returned from my trip, but heartening to see the Taranaki Rescue Helicopter heavily involved in rescuing by winch the remaining 10 students who were stuck on the rock. I also made an attempt at climbing Mt Taranaki. In poor weather conditions and low visibility we turned back about 200m from the summit. It was a good reminder to me of how dangerous New Zealand mountains can be in bad weather. The combination of very wet and cold conditions makes it difficult to keep warm. As compared to somewhere like the Himalaya where it is very cold but dry and is much easier to keep warm. A huge thank you to also to the team from the TRHT, Michelle, Jayden, Fergus, Sam and Phil, a huge thank you for your support throughout the week. 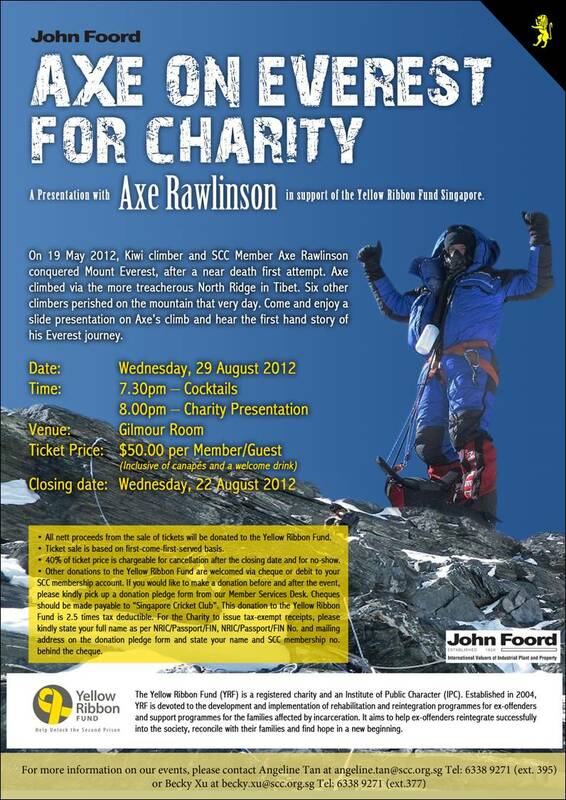 I am very proud to say that John Foord Axe on Everest 2012 has raised to-date over NZ$26,000 for the TRHT. 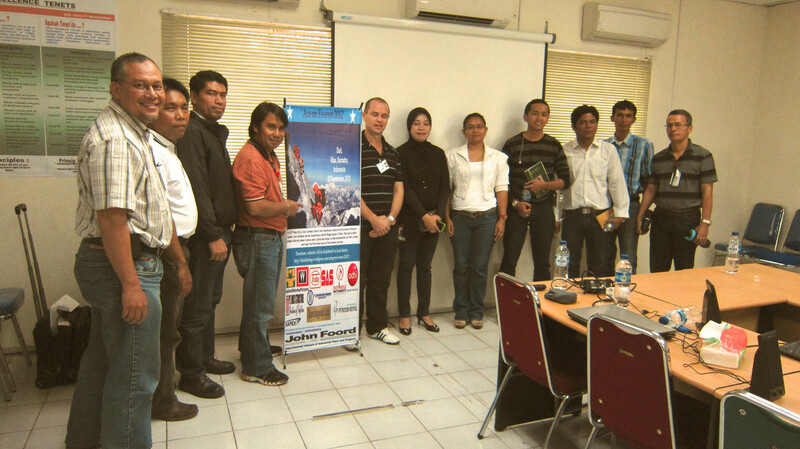 Thank to you all who have donated or supported by attending the talks. Below are some photo’s from the trip, and some links to the various media articles from the trip to New Zealand. 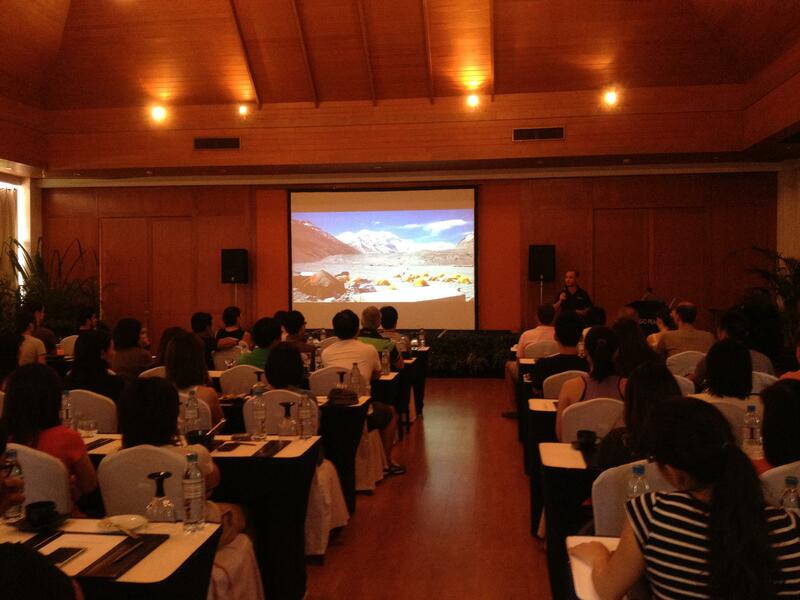 I also returned this weekend from a short visit to Phuket, Thailand where I presented Axe on Everest to a staff retreat for Catlin. The retreat was called a ‘Wellness weekend’ and was arranged by UFIT. Located in the stunning resort of Indigo Pearl in Northern Phuket it was definitely the nicest seaside resort I have ever stayed in and the most interesting and enjoyable corporate retreat I have experienced. Fitness boot camps, amazing races with bungy jumping, zorbing, go-karting, bowling and many other activities, beautiful beach side BBQ’s and bonfires, community service and even a beer or two thrown in. 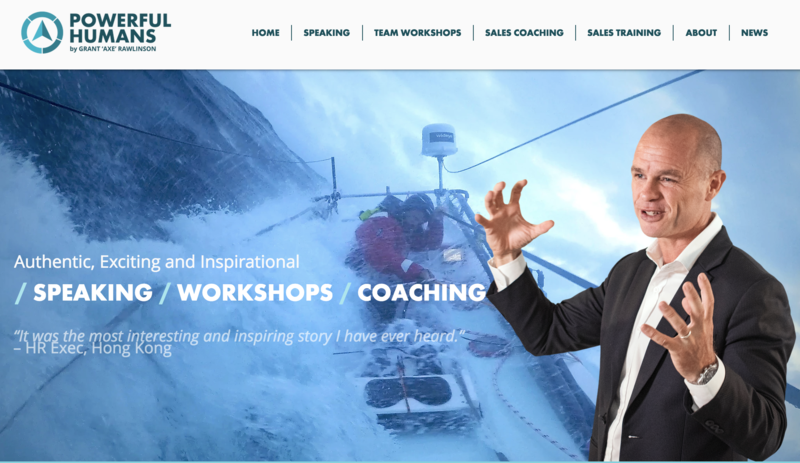 If you are looking for a value for money and excellent corporate retreat then I can thoroughly recommend this – please contact UFIT. 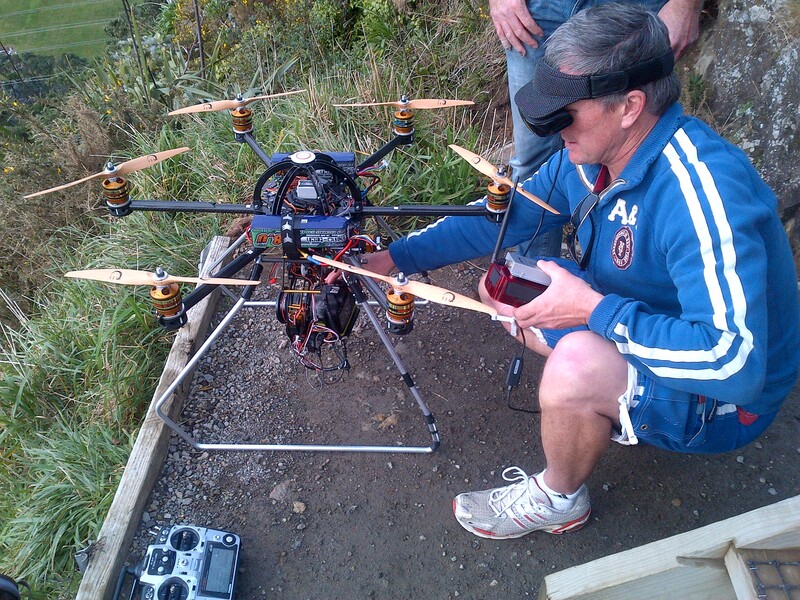 The Close Up camera crew filmed me climb Paritutu using this remote-controlled helicopter carrying a camera. Over NZ$100,000 worth of equipment zooming around! 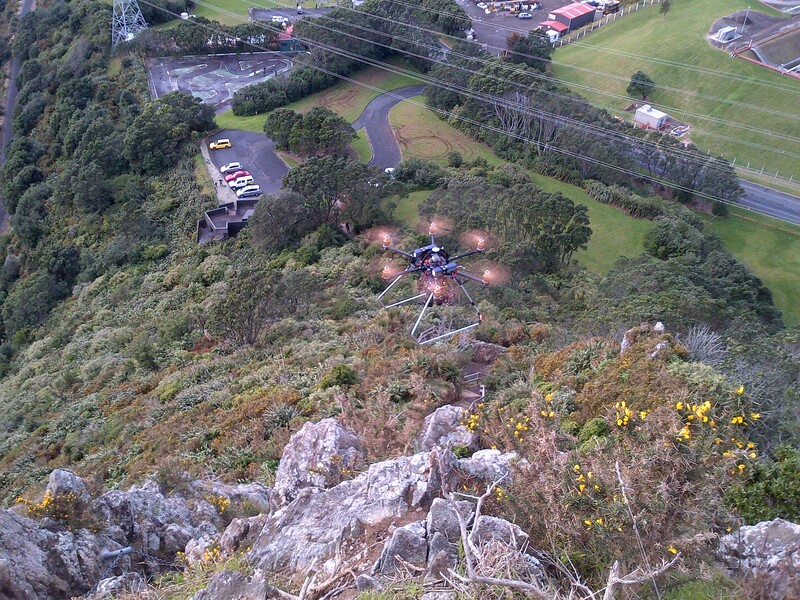 The helicopter in action – it has a range of 2km and a flight duration time of 11 minutes. The cameraman always has the hardest job! But he finally got there. TRHT pilot Fergus MacLachlan lands us at St Patrick’s primary school in Inglewood, students visible in the background. 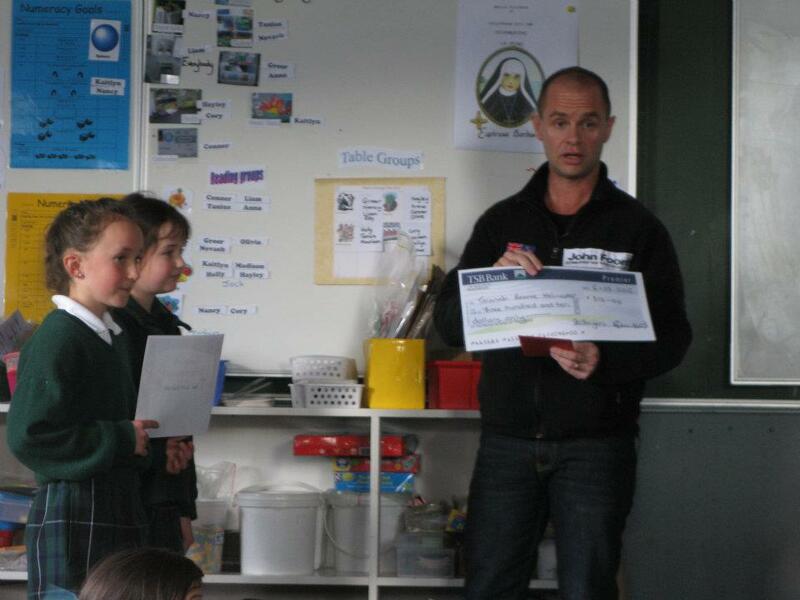 Being presented a cheque from St Patrick’s Primary School as a donation to the TRHT. 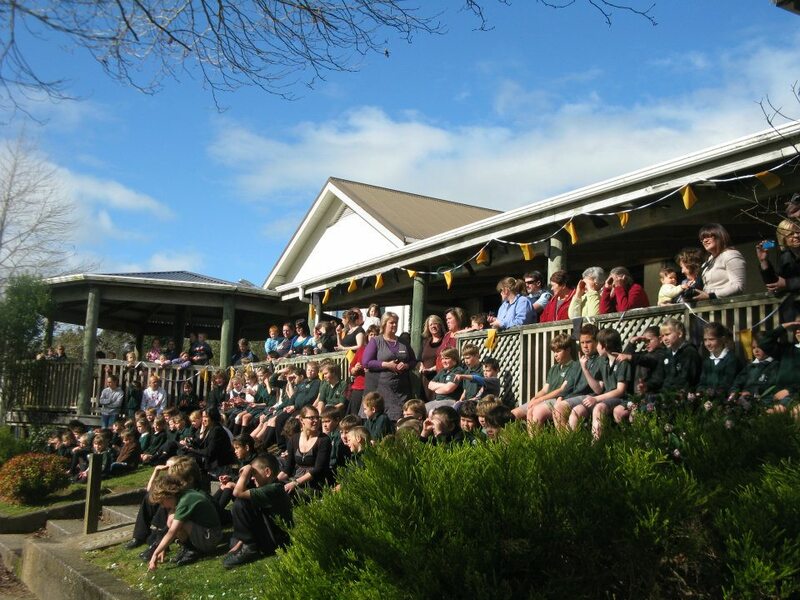 St Patrick’s raised the money through various activities including a sausage sizzle – well done! 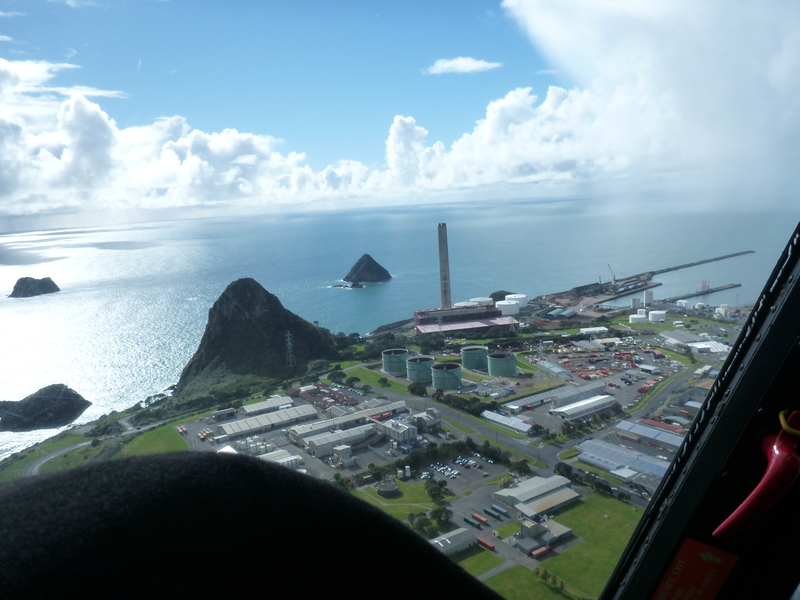 A view of Paritutu rock in New Plymouth from the Taranaki Rescue Helicopter. 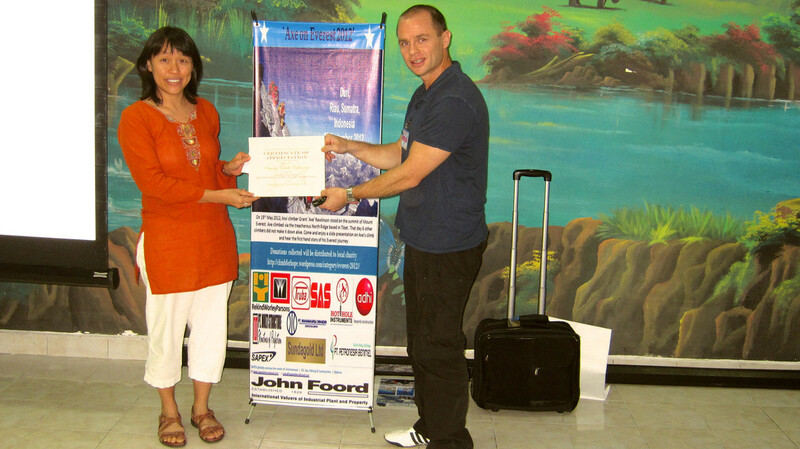 CEO of JSL, Mr Allan Jufferman’s hands over the cheque to TRHT PR and Sponsorship coordinator Mrs Michelle Zender. Awesome effort JSL and TRHT! 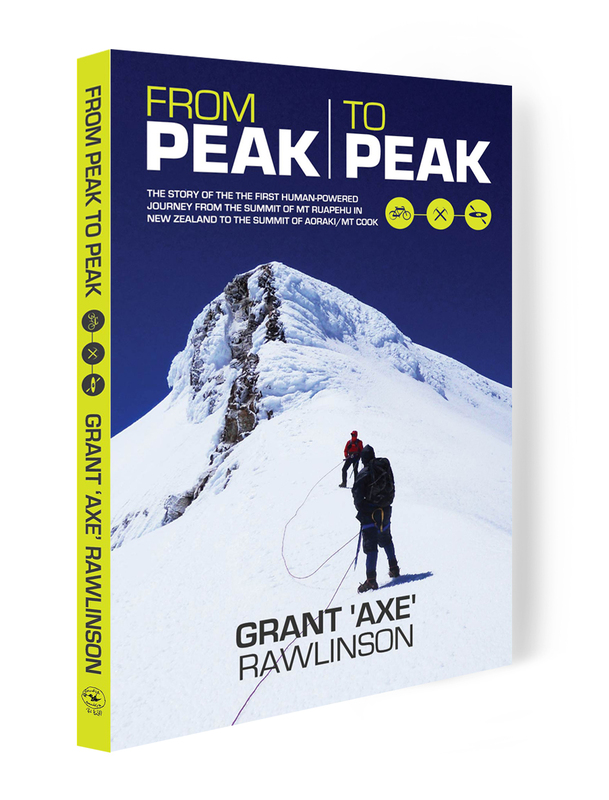 Axe on Everest presentation heads to NZ in August! Greetings to all folk in various parts of the world who have been following my blog. In the last week I have presented to 300 school students, a public presentation evening at CITYGOLF in Bangsa, Kuala Lumpur, students from the Humaneity Youth Development Program at the Singapore Management University (SMU) and a radio interview with BFM Malaysia. As well of course as fitting in my day job! 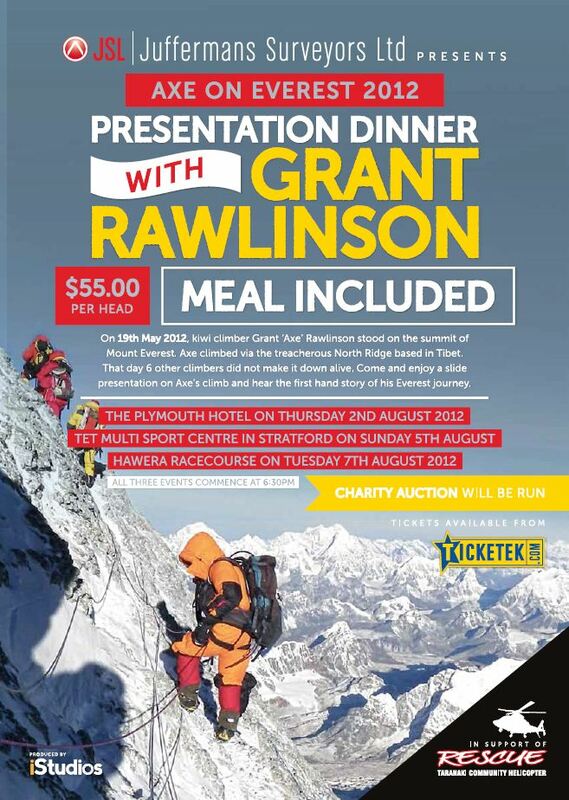 I am very excited to be heading back to New Zealand in August to my home province of Taranaki. Three presentation evenings have been arranged in conjunction with presenting sponsor JSL – Juffermans Surveyors Limited. The presentations will be in Hawera, Stratford and New Plymouth and more information on the dates and locations can be found in the attached flyer. 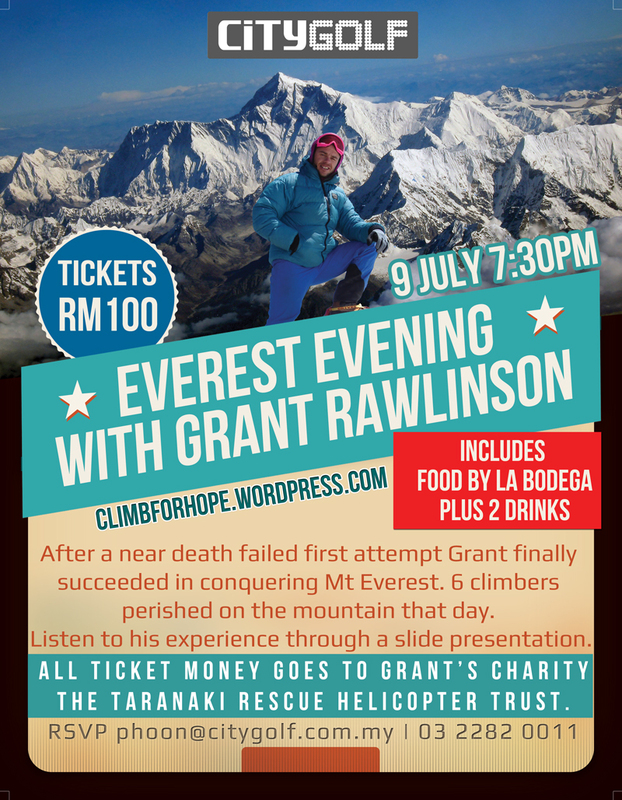 As usual with my public talks – all proceeds from the events go to the Taranaki Rescue Helicopter Trust. I hope to see you there. If you can’t make it and want to hear the story then let me know! 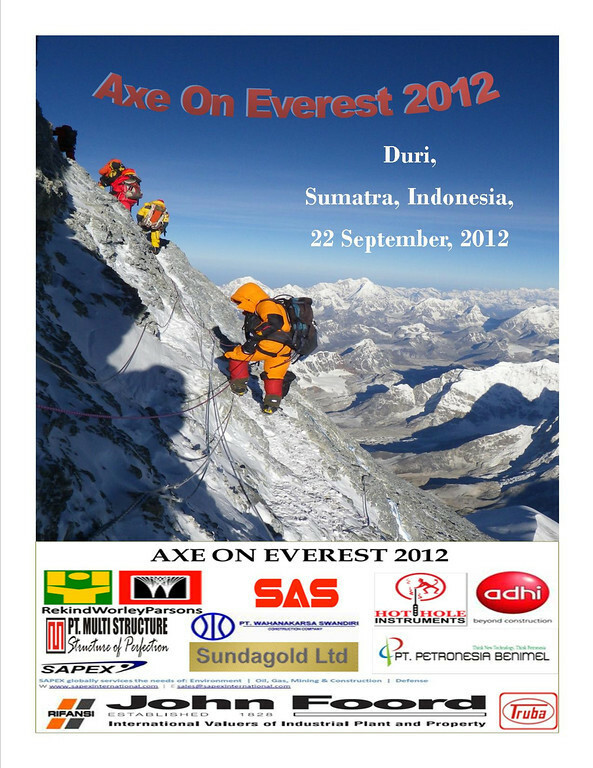 Axe on Everest in Kuala Lumpur – 9th July! 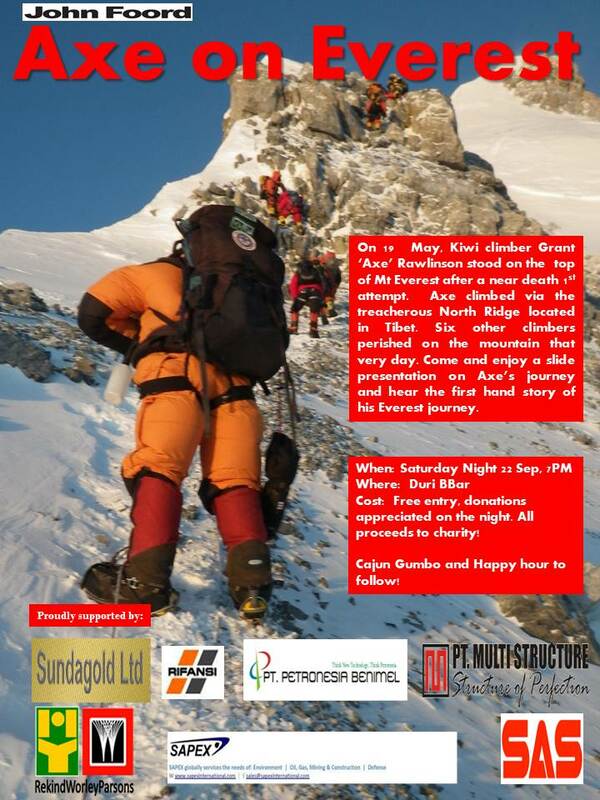 Axe on Everest presentation evening will be in KL next Monday evening 9th July at CITYGOLF bar in Bangsa. Check out the flyer for more details! Looking forward to speaking in Malaysia! February 17th presentation evening a success! 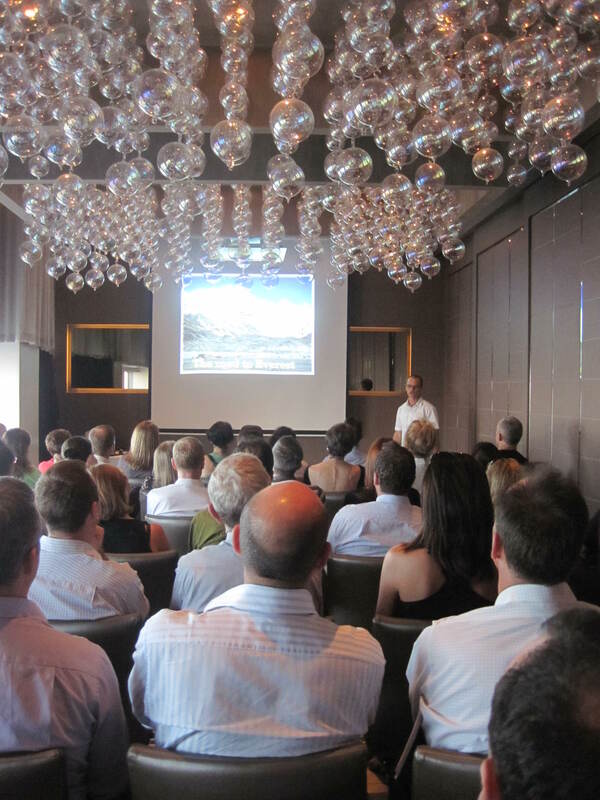 Last Thursday evening, we held a presentation evening at the beautiful location of 1-Altitude, on the 62nd floor at 1-Raffles place. 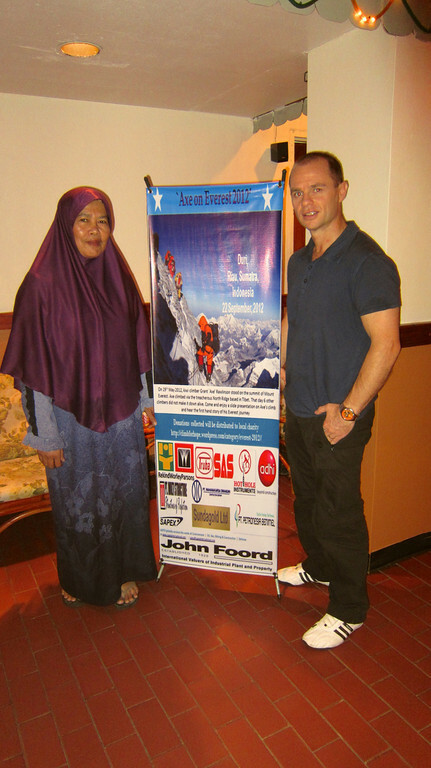 The talk was in in conjunction with Expat Living, UFIT, Balanced Living, 1-Altitude and the HUMANEITY foundation. It was a very fitting place to hold a talk on the highest mountain in the world, at the highest alfresco bar in Singapore! 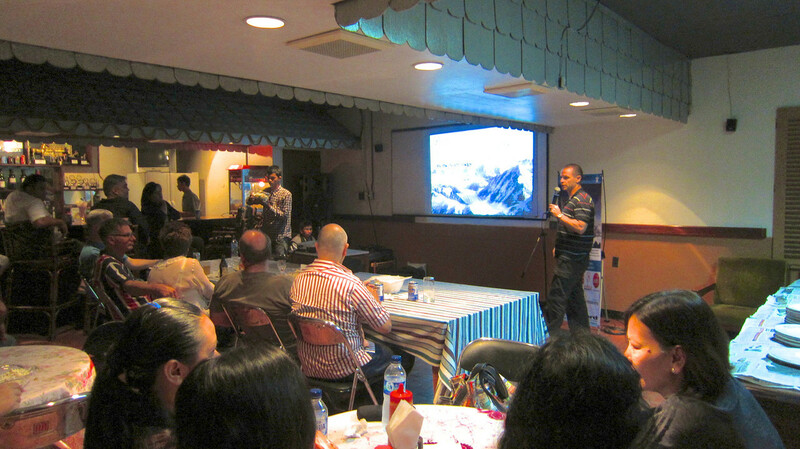 The evening was sold out, with 63 guests, and raised over S$1,500 for charity. Mark Philpott from the Humaneity foundation started off the evening with a thought-provoking talk on how many days each of us have left in the world to make a positive difference. 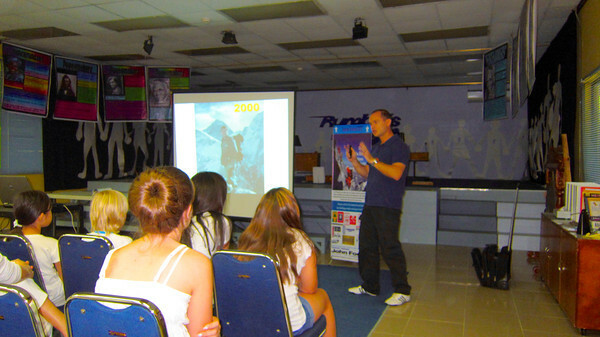 His talk raised some interest from volunteers amongst the audience to become involved with HUMANEITY. Dana Heather and Darren Blakeley(from Balanced Living and UFIT respectively), then spoke on the importance of proper exercise and nutrition in our daily lives. 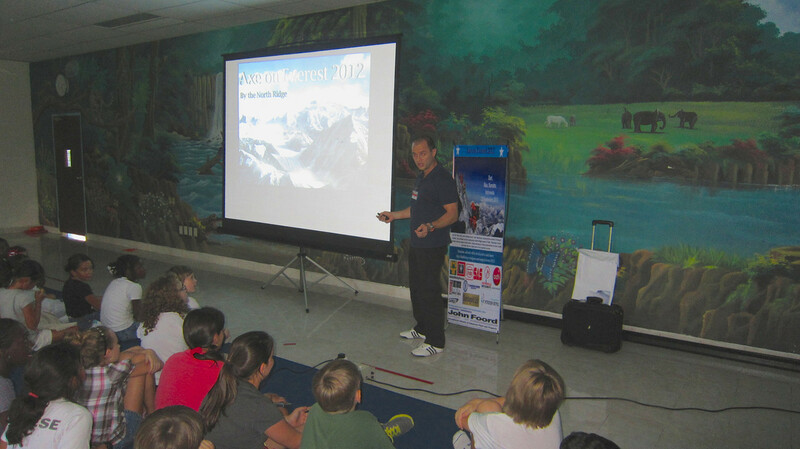 I finished off with a 45 minute presentation on the history of climbs of Mt Everest and details of my preparation and training to date. At 7:30 pm all guests moved to the rooftop bar at 282m above sea-level for wine and nibbles in what surely is the best view anywhere in Singapore. A great evening had by all, with some wonderful feedback from a number of people. Quite possibly the funniest comment I received was “I did not realise when I walked in that you were the guy giving the presentation – I thought you were a waiter”. If anyone in interested in a receiving a similar presentation to their company/school/organisation please contact me at rawly@singnet.com.sg. For a donation to the charities I support, I would be happy to oblige. 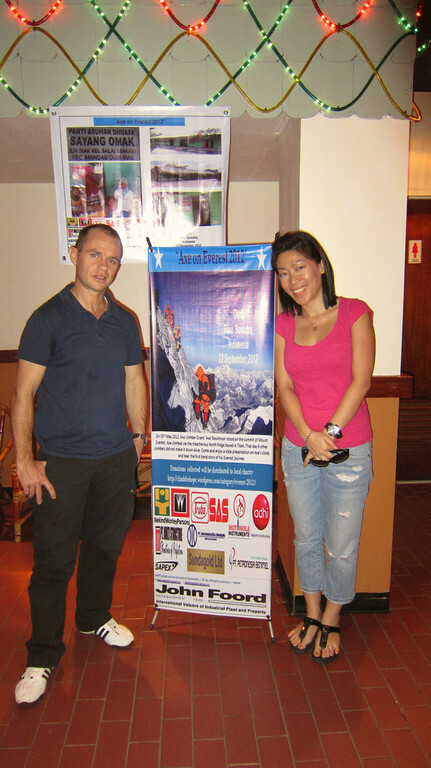 Presenting to 63 people at 1-Altitude, The evening raised S$1500 for charity. 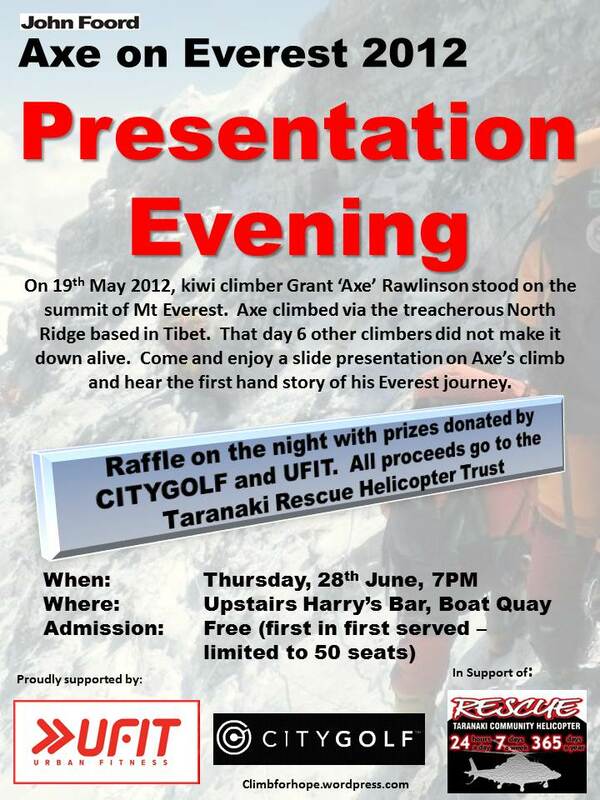 See the attached flyer here for information about my Everest 2011 presentation evening. 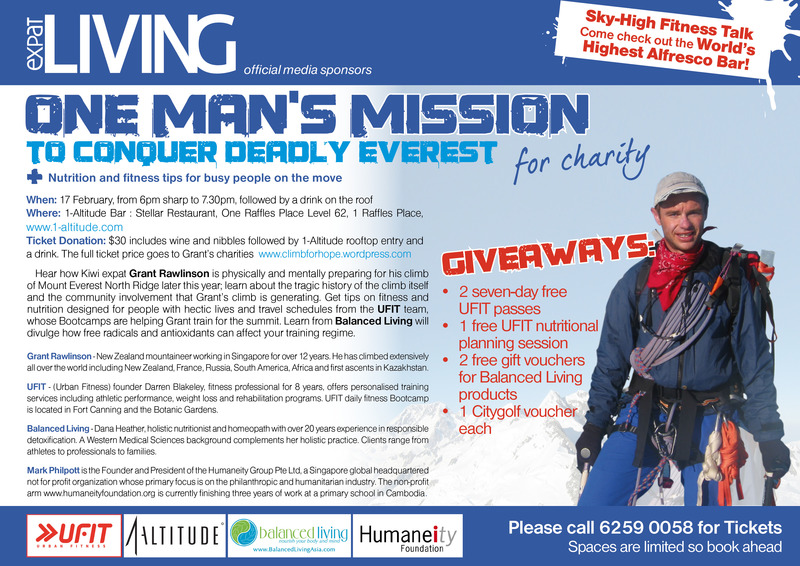 This will be held on February 17th at the spectacular location at 1-Altitude bar, 282m above sea-level – the highest bar in Singapore on the highest building and the highest point in Singapore! Ticket price includes wine and nibbles and free golf simulator vouchers, plus entry to the rooftop bar for sunset cocktails. Over $80 worth of freebies all for $30 and the best thing is, all proceeds from the event go directly to my two charities HUMANEITY and the CAI. Guest speakers Darren Blakeley from UFIT, Dana Heather from Balanced Living and Mark Philphott from HUMANEITY will also be talking on fitness, nutrition and philanthropic issues. It will be a great night. Tickets are limited to 50 pax so get in fast by booking yours on the number below.